At the Center for Prosthetic Dentistry, Dr. Krikor Derbabian and his associates, Drs. Winston Chee and Loris Abedi, work together to optimize their patients’ dental health and esthetics. Combining for more than a half-century of experience in the field, they apply their knowledge to provide proven, quality treatment in a caring environment. Equally committed to the latest techniques and technology, our practice offers comprehensive prosthodontic services in Glendale, Burbank, and the surrounding Los Angeles County communities. Prosthodontists are often recognized for their expertise and leadership in the field of restorative dentistry. Dr. Krikor Derbabian earned his DDS from the University of Southern California in 1991 before being awarded a Certificate in Prosthodontics from the USC School of Dentistry. Dr. Derbabian and his associates also educate both current and future dentists, helping to ensure that quality dental practices are maintained by other professionals. The quality of a restoration is determined largely by skillful design and the collaboration between prosthodontists, dental technicians, and ceramists. With the in-house lab at our practice, Dr. Derbabian works directly with four experienced technicians to guide the fabrication of our restorative options. Our team is aided by high-end equipment that even major, outside facilities would wish to incorporate. Additionally, our lab and operatories feature color-corrected lighting, which aids in determining the accurate shade of restorations. 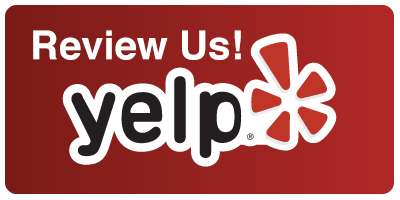 We want your experience at our Glendale practice to be as comfortable as it is rewarding. If you arrive early for an appointment, we feature several amenities you can enjoy, including free Wi-Fi, water, fresh coffee, and other refreshments. If it’s been a long day and you need to decompress, feel free to wrap yourself in a warm blanket, relax in one of our comfortable chairs, and enjoy the soothing music we play throughout the office. In the interest of maintaining a clean environment, our faucets feature no-touch sensors and our advanced sterilization center is tested weekly by an outside vendor. Dr. Derbabian and his team strive to serve the needs of all patients and develop relationships that have long-term benefits for their smiles. When it comes to offering the best care we can, we do not compromise on the time, treatment options, and materials needed to accomplish each individual’s appearance and oral health goals. Dr. Derbabian and his associates at the Center for Prosthetic Dentistry provide professionalism and compassionate care for their patients. If you would like to improve the function and esthetics of your smile, our highly-trained staff is ready to help. To learn more about prosthodontic solutions in Glendale, call or visit our office today!